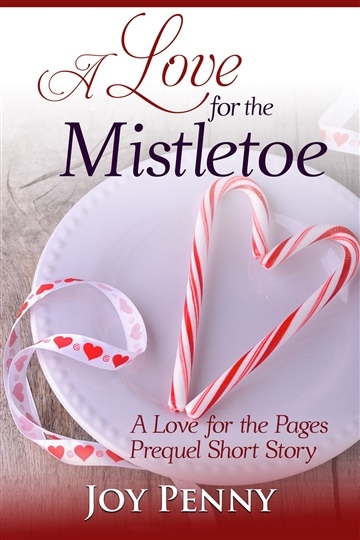 Set two and a half years before that fateful summer June Eyermann spent at the library, A Love for the Mistletoe is a prequel short story for current fans of A Love for the Pages and new fans alike, telling the story of how June and Sinjin started “sort of” going out in high school. June, a junior in high school, decides to attend her school’s Holiday Dance stag. She figures at the very least, she’ll have her favorite books to occupy her. Little does she know that the school’s photography club’s “Kissing Beneath the Mistletoe” event will make this a dance she’ll never forget. Joy Penny writes books, devours stories, and geeks out about everything from classic romance books to manga. When she's not working as a freelance writer and book editor, she's probably immersed in her favorite TV shows, period dramas, and anime series. She also writes YA speculative fiction as Amy McNulty, and one of her books, Nobody's Goddess, won The Romance Reviews' Summer 2016 Readers' Choice Award for Young Adult Romance.